I was sharing about my book, Rosita Valdez and the Giant Sea Turtle, to a group of children in a private school in Grand Junction Colorado. I was explaining what snorkeling was and told this story I’m about to tell to you. One boy came up to me afterwards and requested a story about a barracuda. I like to comply, if I’m able, with my audience. So, here is what happened and a little bit extra. My husband and I, along with our son and his wife, were visiting Grand Cayman Island. Our daughter-in-law's family lived there at the time. We were taken all over the Island. It has many unusual sites and things to explore. 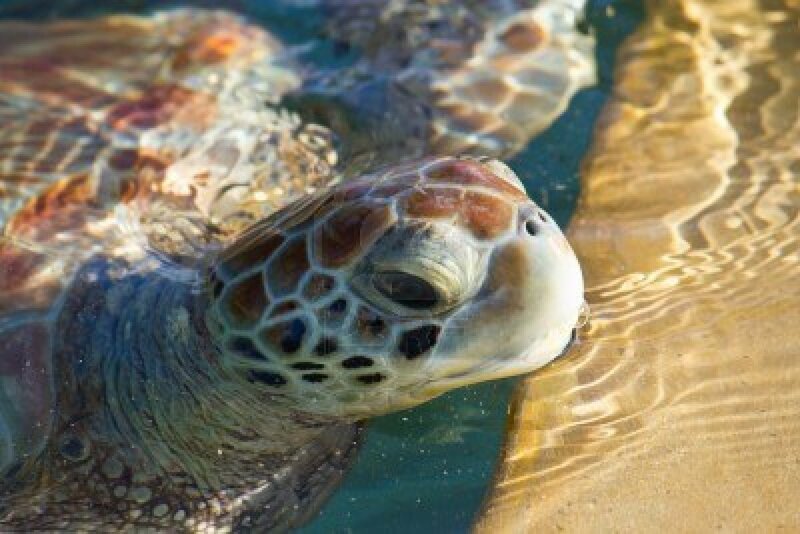 One of the places is a turtle farm where they have all sizes of giant sea turtles. I was able to pick up a smaller one. That was fun and was part of the inspiration for my book. During our time there, we went snorkeling. We were told to stay together because there could be dangerous fish and one should never swim alone. When you snorkel you wear a mask that covers your eyes so you can see. The mask has an attachment that goes in your mouth and a pipe that comes out of it and up out of the water. You breathe through that pipe. It is tricky learning to trust the pipe for air as you submerge under the water. The three of us: my husband, son, and I, were together snorkeling in the cove looking at the beautiful fish and coral. I was busy taking it all in, when the two of them swam away. They thought I was following them, but I didn’t know they had swum away. I was engrossed in what I was seeing. It was so beautiful, and it was nothing I had ever done before. I was alone, and, not knowing which way they went, I just kept looking around. I decided after a while to go back to shore. 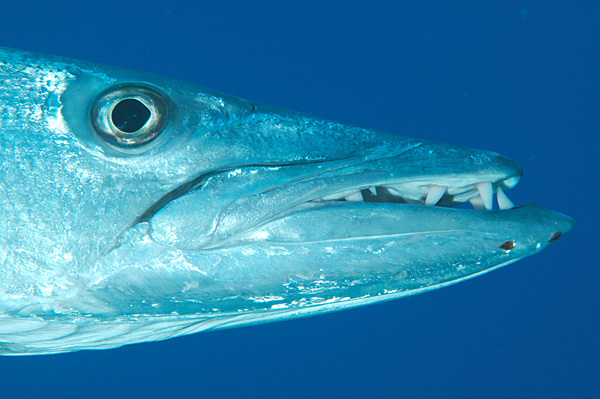 All of a sudden, right before me was an ugly barracuda staring at me. It scared me! I didn’t want it to think I was food so, I just froze. I stared back at the ugly thing. It was light grey with a white underbelly. It’s teeth were visible, and what was most frightening was its eyes. They were dark, almost black and kind of dead looking, like a shark’s. I didn’t dare move, but I couldn’t control my shaking. I was shaking all over. I was glad I hadn't worn any jewelry that would sparkle. The barracuda might think it was food. We stared at each other, for what felt like an hour, but it was only minutes. Then, Zip!… He was gone. Then I screamed! It was muffled because it was underwater. Then I went to the surface. I frantically looked around trying to find my family. I did, eventually, and stayed with them like glue for the rest of our adventure underwater. This is what I think the barracuda was doing. This part is my imagination. His name is Lander, and he likes to scare fish, animals, and people. He then loves to brag about it to other barracudas. Lander swims silently to an unsuspecting fish and either stares at it or shows his teeth. The fish then is frightened and zips away like lightning and hides in a hole in the coral. Lander laughs at the frightened look on the fish’s face. One time on his scaring trip, he encountered a giant sea turtle. It was so scared that in its hurry to escape unharmed, it rolled over on it’s back. This made Lander laugh very hard. He was still laughing when he returned to the school of barracudas. Lander scared all kinds of fish and animals, but he especially loved to frighten people. Some would splash at him then swim away. Some would scream. Some, like me, would try to be as still as possible hoping he would leave. After he knew he had frightened them and got the reaction he wanted, he would swim away. The best part was when he went back to his school of barracudas and bragged to them about what he did. He loved recounting the stories. He kept a log of them in his head of how many he had scared and their expressions. He loved to replay them in his head and recount it to others. The other barracudas quickly got tired of his bragging. Some of the younger ones thought he was cool scaring people and fish so well. Lander was a bully--he scared others. He was also a braggart--he would boast about his antics all the time. He was mean and cruel. He never changed. It became apparent he would never have many friends. No one, even barracudas, want to be around a bully and braggart. He didn’t fit in with the majority of barracudas in the school. As an outcast, he made his own school. It didn’t work well because it is hard to call three barracudas a school. He didn’t see the mean streak he had. He was cold hearted and cruel. We don’t want to be like lander. We want to be loving and kind. We don’t want to become braggers about what we do. The Lord wants us to be kind and loving, not proud or boastful. James 4:16 But now boast in your arrogance. All boasting is evil. Proverbs 27:1a Do not boast for tomorrow, verse 2 Let another man praise you, and not your own mouth; a stranger, and not your own lips. Memorize: James 4:16 But now boast in your arrogance. All boasting is evil. Proverbs 11:17 The merciful man does good for his own soul, But he who is cruel troubles his own flesh.